This was a wonderful rental for a group - modern, large, with lots of amenities. The property management company was very responsive (there was a mystery beeping noise we could not identify at first). This is the second time we have rented a cabin with you and have had good experiences both times. Beautiful home, great location for exploring the North shore. We absolutely loved it! It was very nice, clean, and had a great location! Working with the Cascade Vacation Rentals was staff was convenient and easy. They were always very responsive and respectful. The location of Caribou Escape is amazing. It is on a beautiful lake and has a very nice backyard/dock area. It is very serene. The house worked well for 6 adults. The kitchen was stocked with everything needed for cooking which was nice. The only negative comment that I have is that the house could have been cleaned more thoroughly. We found some trash (pop cans, etc..) leftover in one of the upper bedrooms and a pair of underwear under the bed that was not any of ours. Everything else was great though and the staff at Cascade Vacation Rentals were very responsive throughout the whole process. This place is a diamond in the rough. We love this place over several others we've tried on the North Shore. It's quaint, charming with a gorgeous view of Lake superior, and staircase is leading down to large rocks to climb. We also like that it's close to our favorite park cascade Falls. While the units are very small, we find them cozy and offering all the amenities we need such as fireplace, full kitchen and separate bedroom with a very comfortable mattress. Nice little place. Nicely laid out. Great location and fantastic view! Sauna was great, stayed last year and may book again next year. This was a great little place to stay, we loved it. It was right on the water with no obstructions. Everyone is very helpful. You come out right away if something isnt working right. Anyone I have talked to has been friendly, polite and accommodating! We love staying here...it is our second year in a row. 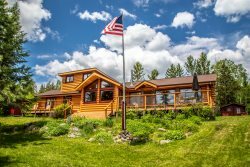 I think its a great location in between lutsen and grand marias. My only wish is that it would be nice if there were some extra blankets to curl up in. I also think it would be nice if the kitchen were a little more equipped. We love the cabin! Beautiful property, fabulous location and thoughtful amenities. Loved staying at Nordkapp and looking forward to visiting again. Good communication. No fuss about anything. Nice condo in an older but well maintained property Chateau Leveaux. Love the location, the view was gorgeous, and the house was fantastic. Everything was wonderful. We really enjoyed the glider on the beach by the fire ring. We travel two or three times a year, so have stayed in many homes and cabins. This was by far the cleanest we have ever stayed in. It was sparkling clean, comfortable and fun. I enjoyed another great stay at Chateau Leveaux. This was my first time in unit #15. The recent remodel was very well done. I don't understand the reason for removing the wall between the bedroom and living room, but it was fine. We had a question about the cost of additional guests beyond 4. We received a timely response and then later found the information on the property page (embarrassment). Great location, close to many of our favorite spots along the North Shore. Easy driving distance to many others. Highlight of the house is the 'Nest'. Able to easily view Carlton Peak and Lake Superior. Even able to spot the house from Tofte Peak because of the 'nest'. Enjoyed sitting on the porch, watching and waving to passersby, including the road grader.